This information is an update from the blog that was posted yesterday. Over the past few years we have frequently discussed the concerns of the growing number of apartments being built in the Boise and surrounding areas. Severally years ago we were really concerned that the supply would not meet the demand. We were additionally concerned that the rising rents were not sustainable. 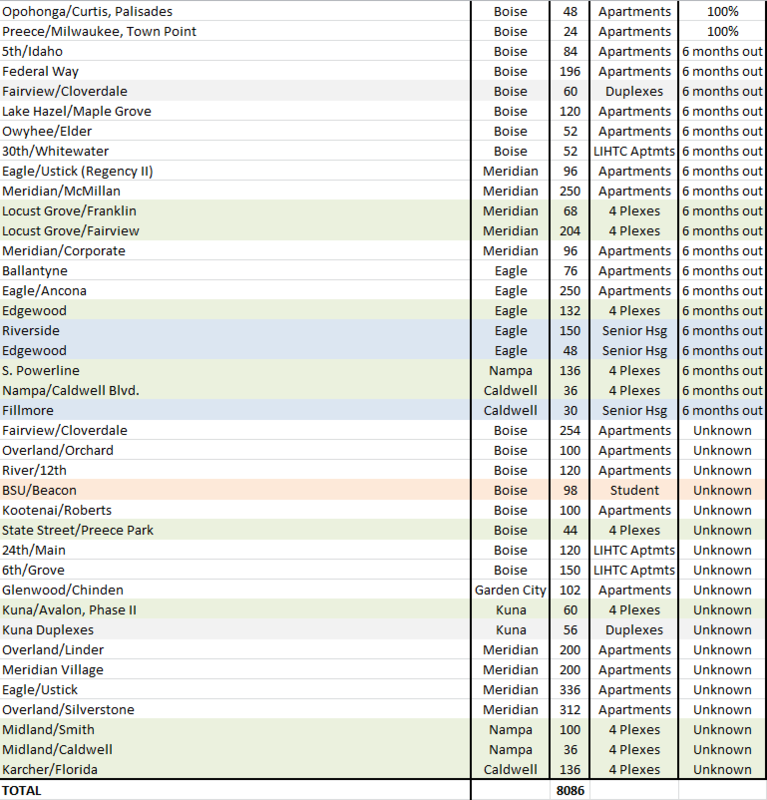 First Rate Property Management does not mange in Nampa, Caldwell, Kuna, Garden City, or Star, so we can't really don't feel comfortable forecasting in those cities. In Boise and Meridian, however, the population growth, increased jobs, and higher wages have contributed to the demand to rent, which has kept up with the increase in supply and rents. 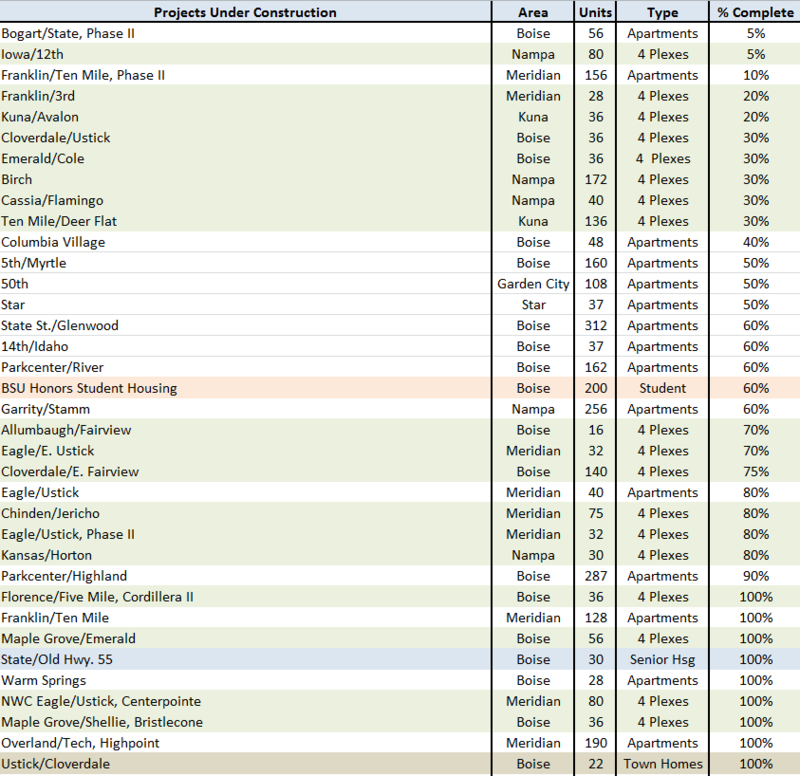 Below is an update on projects that have been completed, are in progress now, and in the planning stages. That’s a lot of units. We believe it will continue to be important to watch the vacancy and rent statistics for any trends.